Camp Rock Enon is owned and operated by the Shenandoah Area Council, BSA. It is administered by a full-time Facility Manager and Camp Director along with a Camp Ranger, both are trained and certified by the National Camping School of the Boy Scouts of America. The camp is inspected annually by the Virginia Department of Health and internally through the National Camp Accreditation Program. It is consistently rated as a Nationally Accredited Camp. 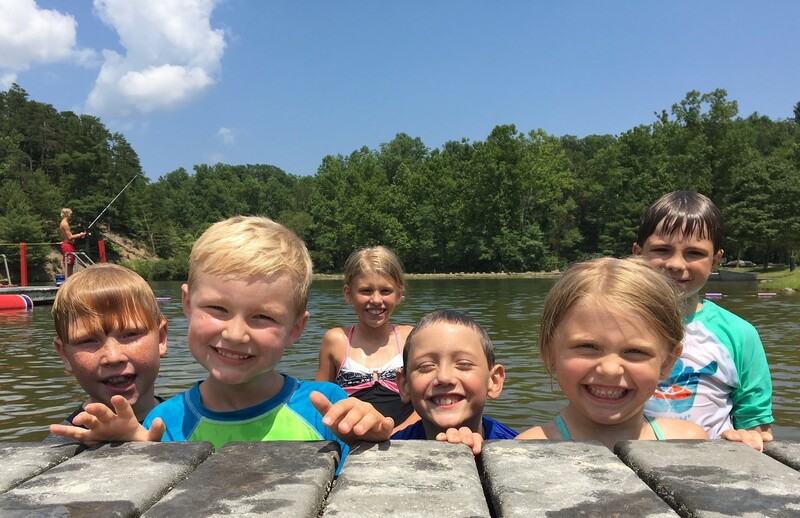 Founded in 1944, Camp Rock Enon has almost 900 acres of majestic forest nestled in the northern tip of the Shenandoah Valley of Virginia and offers an almost unlimited supply of programs and activities to provide an experience of a lifetime. The Summer Camp staff at Camp Rock Enon undergo all necessary BSA background checks for working with youth and complete a week-long training program covering Basic Life Support and First Aid, Youth Protection, effective teaching and learning strategies and much more. Most of our Area Directors attend National Camping School to obtain training on the national level. We employ trained Health Officers (EMT) to ensure proper treatment for anything from the simple cut to more serious matters requiring immediate attention. Our lifeguards for the Aquatics program are fully trained BSA Lifeguards overseen by a nationally trained Aquatic Supervisor. The kitchen staff has completed Serve-Safe training. Camp Rock Enon has 14 campsites within a short walking distance to all program areas and services with a maximum capacity of 325 Scouts and Scouters per week/session. Each site is equipped with two-person tents on raised platforms. Some sites also have Adirondack thee-sided shelters that sleep up to 4 people or cabins that sleep up to 20 people. All campsites include sleeping cots, a shelter, picnic tables, latrine with wash station and potable water, flag pole, bulletin board and campfire circle. Within main camp you will find flush toilets and a shower house with hot water available all day and night. Program areas include Aquatics, Outdoor Skills, Nature, Handicraft, Climbing and Shooting Sports. The dining hall provides meal service for all campers serving a variety of kid and adult friendly meals reviewed and approved by a certified nutritionist. Special dietary menus are available for a variety needs including gluten free, pork free and vegetarian. For a copy of our menu or more information on CRE food service click HERE. 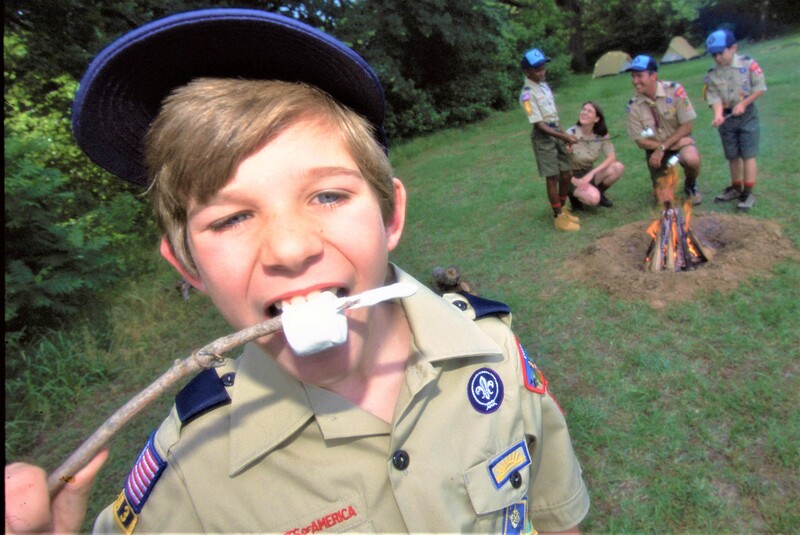 While at camp Cub Scouts can also work on several rank specific “Adventures” plus go swimming, shoot bb’s or arrows at our shooting sports range, climb our rock wall, visit the nature conservation area, go fishing, learn basic outdoor and first aid skills, make a craft or play some Cub Scout games. Webelos and Arrow of Light Scouts will choose which “Adventures” they want to work on to help develop the skills needed as they advance towards Scouts BSA including Adventures in Science, Aquanaut, Build It, Earth Rocks, Into the Wild, Into the Woods, First Responder, Castaway, Camper/Outdoorsman and more. They can also go swimming, shoot pellets and arrows at our shooting sports range, climb our rock wall, rapel from our natural rock face, visit the nature conservation area, go fishing, learn outdoor and first aid Scout skills, make a craft or play some Cub Scout games. 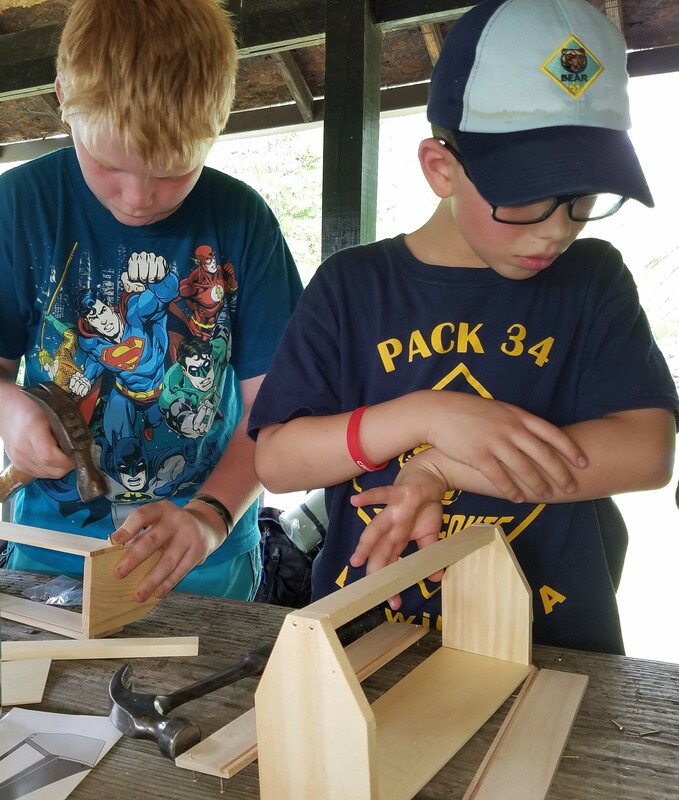 Mid-week all Webelos and Arrow of Light Scouts will spend the day exploring the back woods of Camp Rock Enon, learning and testing new outdoor skills as part of the Webelos Walkabout and outpost camp sleeping under the stars. Is your Scout not ready to spend the night time hours away from home? Then consider sending them to DAY-ONLY summer camp at CRE. 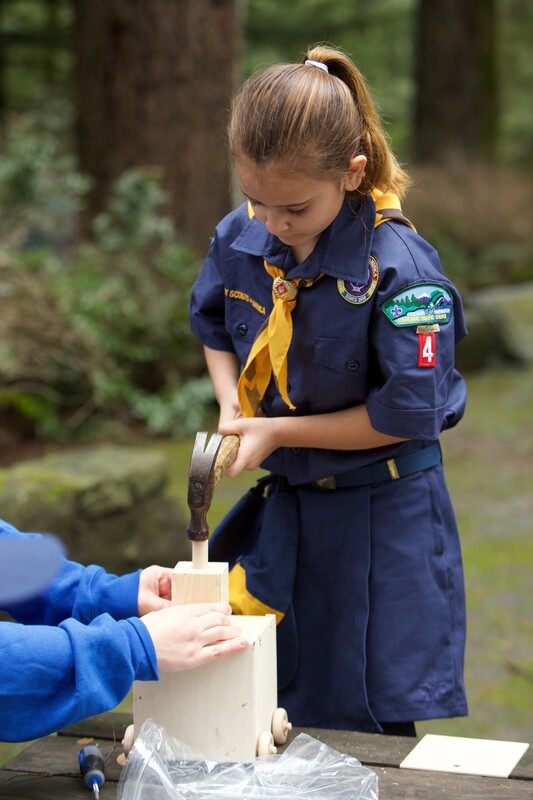 They will get to experience summer camp program activities and advancement opportunities just like their Scouting friends without having to spend the night camping in a tent. Day-only program is open to all Tigers (with adult partner), Wolf, Bear, Webelos and Arrow of Light Scouts. The program runs from 8:45am to 4pm and includes lunch served in the dining hall with the rest of the Scouts in camp. Tiger (with adult partner), Wolf and Bear Day-only campers are welcome to stay for the evening closing campfire on either Tuesday or Friday depending on which session they are registered. Webelos Day-only campers are welcome to stay Wednesday and participate in special evening Webelos activities and on Friday for the evening closing campfire. For more information or to reserve a space for your Pack or Day-Camper click HERE. For the 2019 Cub Scout Leader's Guide, CLICK HERE!